Well I wrote about my three favorite resources at U of M. Obviously they were and still are important to me but over the course of a year, I have found more good resources, such as Sweetland Center for Writing. 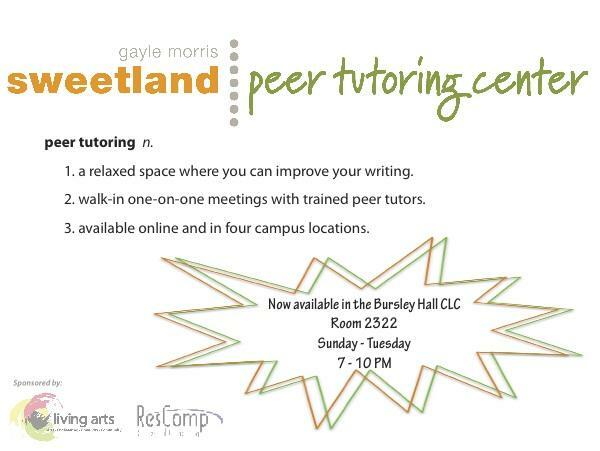 The peer tutoring program is quite awesome. The staff, mainly students in U of M who love to write, is very friendly and helpful. They are not judgmental at all. They will read your paper and give you helpful comments. Sometimes, if you are struggling with your paper, you can just come and talk to them. They will discuss your paper with you to open up your mind, give you their thoughts and help you develop ideas. It’s one-to-one so you get to have all the attention you need to make your paper better. It’s free of charge too. This is how it looks like! I personally really like to go there (btw, they have multiple locations on campus so it’s quite convenient for students) just to have other students read my paper and check if I have any grammar problems or typos.